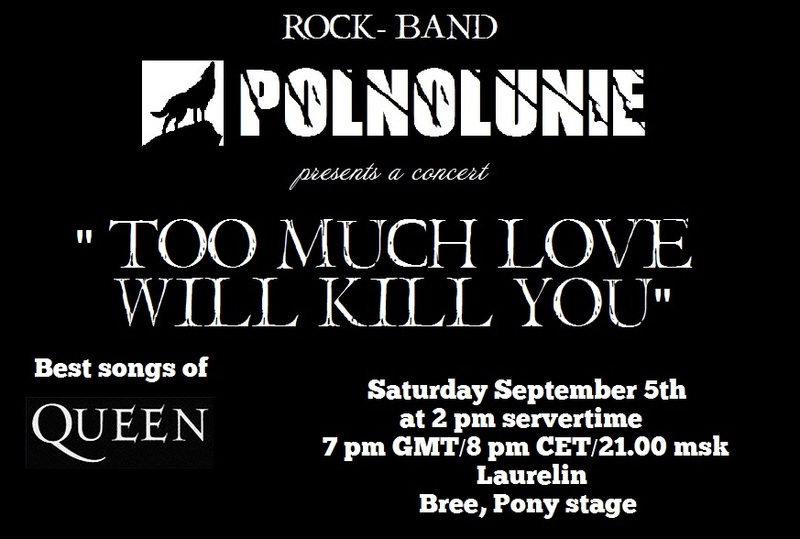 The musical group "Polnolunie" was created in 2011 in kinship "Brotherhood of the Wolf" on ru-server Fornost. 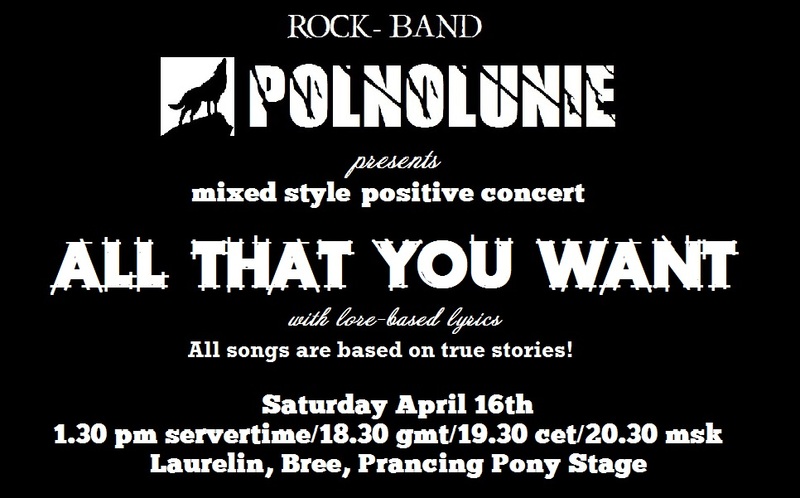 The name "Polnolunie" ("Full Moon") group received in 2013, the same year we chose the band's style and repertoire. The group mainly play rock both the best international hits and Russian rock, which we give preference to. Usually we give a big concert in the month, which usually consists of songs with similar themes which corresponds to the name of the concert. At concerts almost all of the songs are accompanied by texts in the English language, which can be either a direct translation from the Russian or an adaptation to the world of Middle-earth. 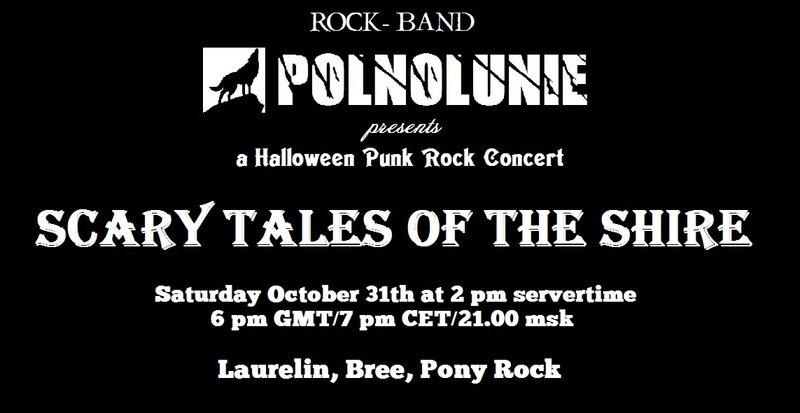 Currently "Polnolunie" has gone beyond a single kinship and in fact unites all indifferent to the good music players of Laurelin. Last edited by gerhalt_w; Apr 14 2019 at 07:14 AM. 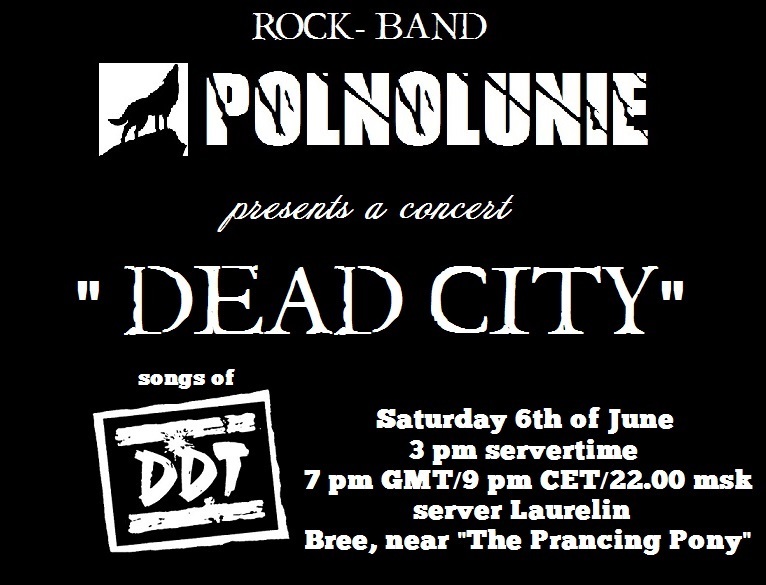 Rock band "Polnolunie" features 11 of the best songs of Russian rock group "DDT" with an adapted English translation! Last edited by gerhalt_w; Feb 21 2016 at 11:52 AM. Last edited by gerhalt_w; Jun 21 2015 at 11:30 AM. 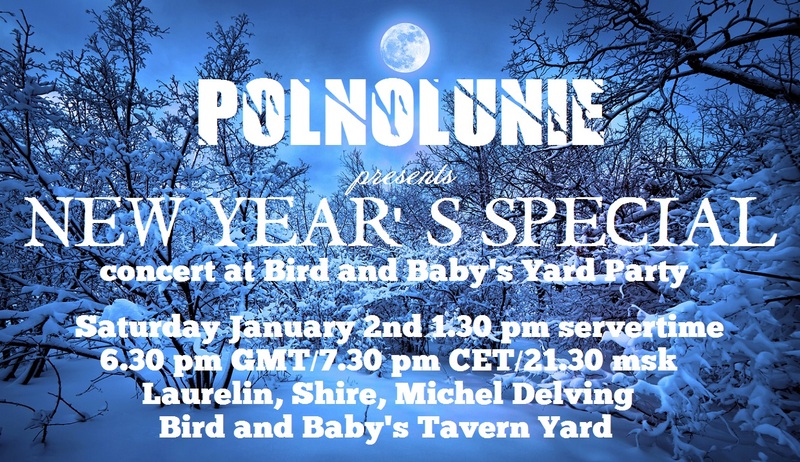 Everyone is invited to a performance of "Polnolunie" on Friday, 24 July 2015, at the concert Wicked Weatherstock Warmup (server Landroval on the new stage on festival grounds in the Bree Lands)! The concert itself will start at 02.00 pm servertime, our performance is at 03.00 servertime! 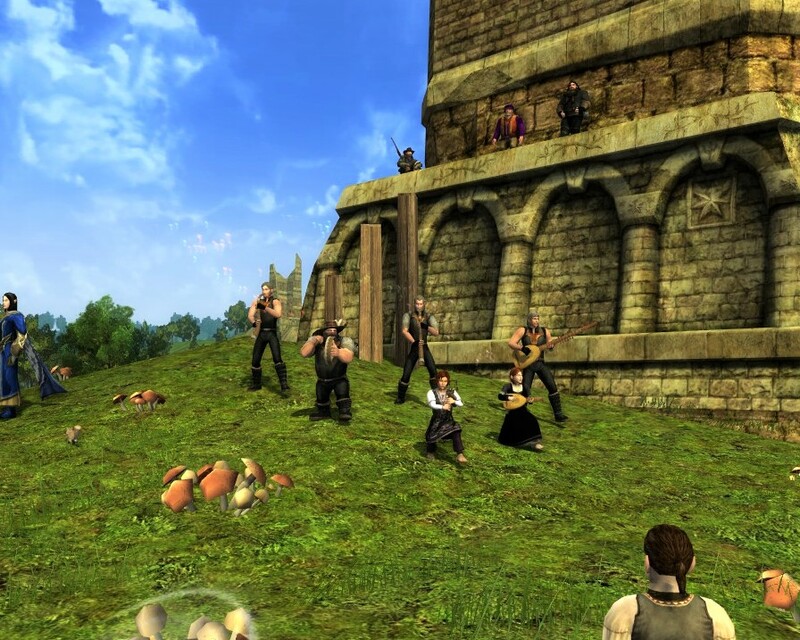 Saturday 24.07.2015 "Polnolunie" took part in the "warm up" concert before the festival Weatherstock - WWWW (Wicked Weatherstock Warmup Whoopee). Musicians who were part of Volnushka, Ulaya, Roggan, Mornion, Mittchelm and Gerrhalt played a 40-minute program in the presence of a record 235-minute (!!!) viewers! It is a pity that Hallvin and Glirdano due to technical problems (severe lag due to the unprecedented accumulation of public) was unable to play with us. And a big thanks Roggan and especially Mittchelm that could quickly literally in the last minute to replace them! 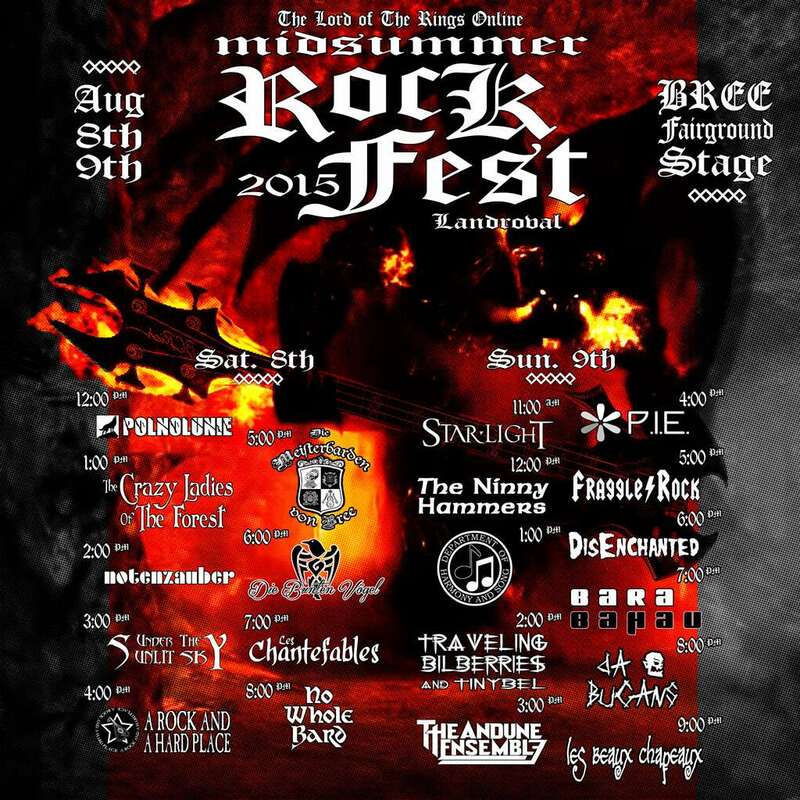 Now we have a part in Rockfest on August 8 at 12.00 pm (servertime) at Landroval. I hope that the audience will not be less! 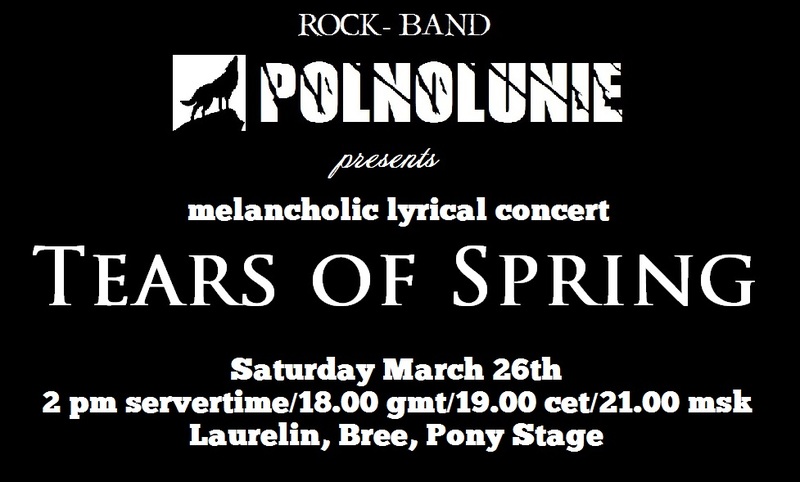 After this concert we're finally back home at Laurelin! Last edited by gerhalt_w; Jul 26 2015 at 02:15 PM. We invite everyone to visit our performance at RockFest 2015, which will be held on Saturday 8 August at 12.00 pm servertime (5 pm gmt/6 pm cet)! Last edited by gerhalt_w; Aug 01 2015 at 07:27 PM. At the birthday of Freddie Mercury - 17 of the best songs of the "Queen" on the stage near the Prancing Pony in Bree! Last edited by gerhalt_w; Feb 21 2016 at 11:53 AM. 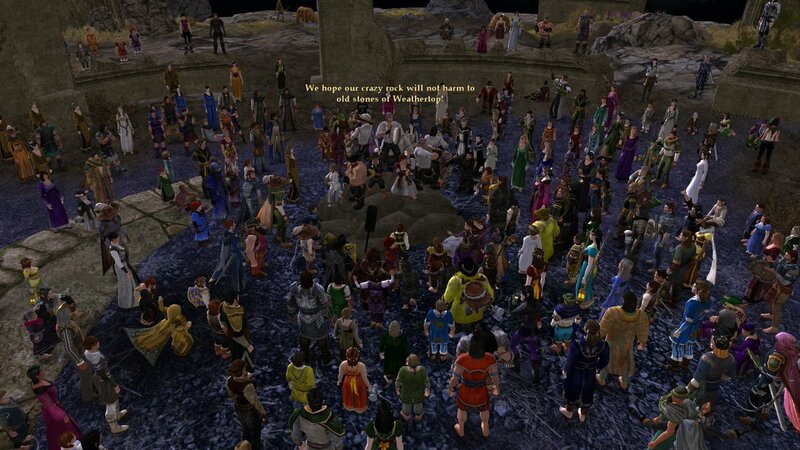 "Polnolunie" at Festival "Music over Arnor"
Festival in honour of Russian LotRO (7 years from ru-servers opening). Our part - at 1.35 pm (servertime)! Last edited by gerhalt_w; Feb 21 2016 at 11:54 AM. 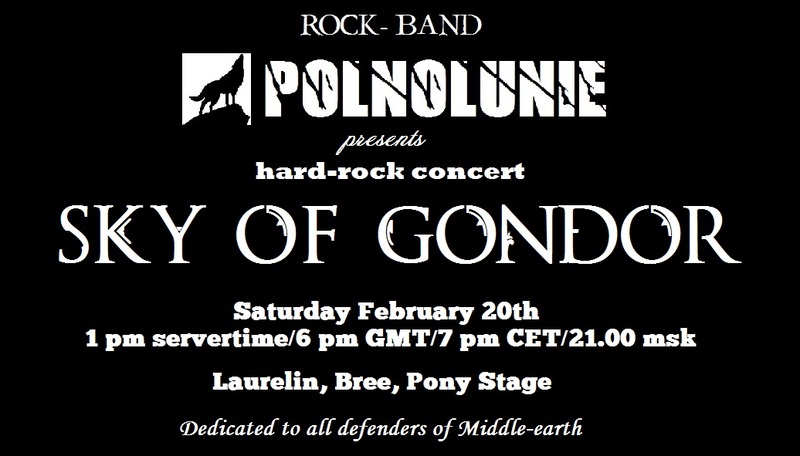 "Polnolunie" presents hard-rock concert "Sky of Gondor"
Last edited by gerhalt_w; Feb 21 2016 at 11:55 AM. 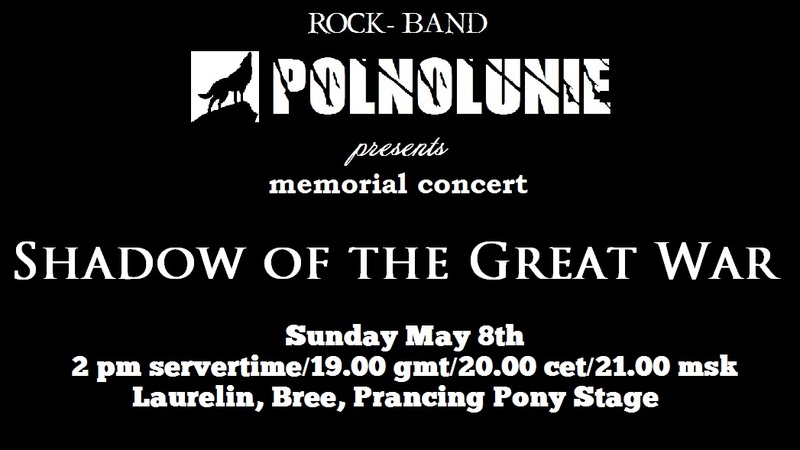 Polnolunie presents concert "Tears of Spring"
Polnolunie presents concert "Shadow of the Great War"